Whether you were an avid collector back in the day or simply inherited a collection from your parents' mixtapes, you likely have a stash of cassettes you're hanging on to for nostalgia's sake. And, while your taste in music might last for years to come, those cassettes likely won't have the same longevity. Luckily, this Audio Cassette to MP3 Music Converter can help you preserve those tracks well into the future, and it's on sale in the Boing Boing Store. 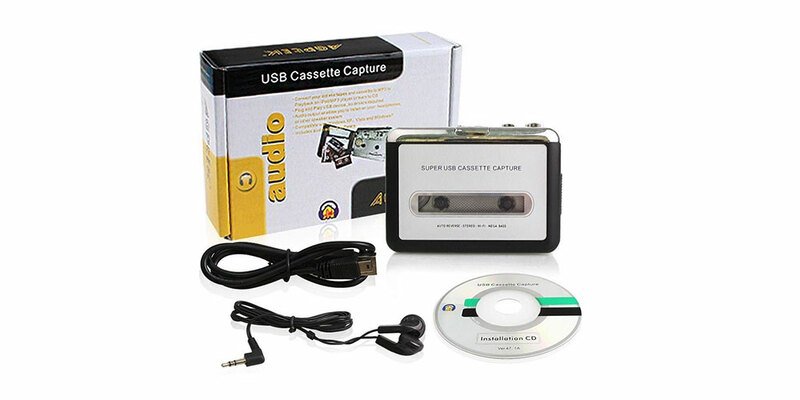 This converter hooks up to your laptop and allows you to convert tapes to MP3 files for easy digital access. It's compatible with both Mac and PC, and once your cassettes are converted, you can transfer your tunes to your phone or tablet for easy listening and sharing whenever you'd like. The Audio Cassette to MP3 Music Converter normally retails for $69.99, but you can get it in the Boing Boing store for $20.99.